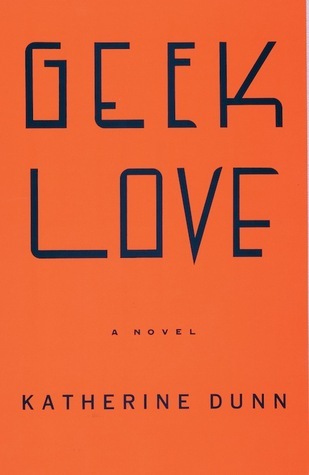 Since I usually write about books on Sunday, I’d thought I’d do a bit of a tribute to a book I absolutely loved, “Geek Love” by Katherine Dunn. My sister Gwen happened to purchase a copy of it and after she read it, she loaned it to me. I couldn’t put it down. It told the tale of a very bizarre family that raised its own freaks for its traveling carnival. The parents managed to give birth to piano-playing conjoined twin girls, a boy with flippers instead of appendages, and an albino hunchbacked dwarf. Throughout the book it tells of other freaks created and met along the way, including women purposely mutilated in order to concentrate on their careers instead of love. I must have read this book half a dozen times, and with each reading, I grew more horrified at the prospect of parents willfully screwing up their kids so they’d have a future – as carnival freaks. Still, the book makes you think about what’s acceptable in both nature and the human mind. Having read last week that a group of distinguished Harvard scientists discussed creating a synthetic human genome, perhaps Ms. Dunn wasn’t far off the mark when she wrote this book. So if you’re in the market for a good read, check out “Geek Love.” You’ll be glad you did.